Ok I’m just going to get this out of the way. I didn’t like Crimson Peak. Yes I knew it wasn’t going to be “ horror movie” and yes I knew that it was going to be kind of a “romance movie” (bleh) but still I really love Del Toro. Pan’s Labyrinth wasn’t horror and that film just owes my heart so I thought that maybe Crimson Peak would do something for me. It makes me so sad that it just didn’t. Edith is young, aspiring writer who falls in love with a charming stranger. She feels like he has the ability to open up her world to new things, but really he just wants to stick her up in a gross, old house with his sister while he works on his silly, money sucking invention. While adjusting to her new life, Edith realizes that there is something in the house trying to get at her. She doesn’t know what it wants with her but her curiosity leads to a horrific discovery. 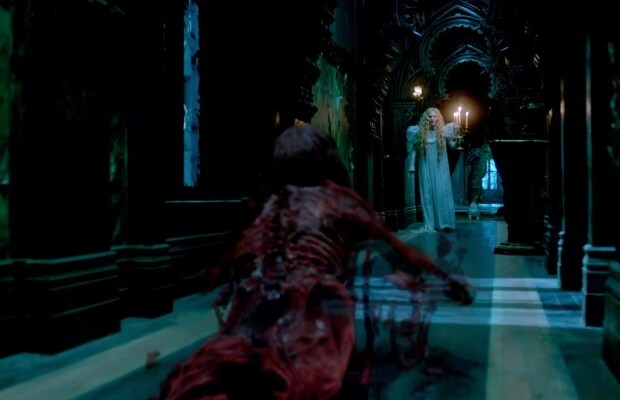 Here’s the thing about Crimson Peak, it’s very pretty. Every scene is a splash of dreary despair and that works for the story. The actors are all great at the characters they play so no fault there. 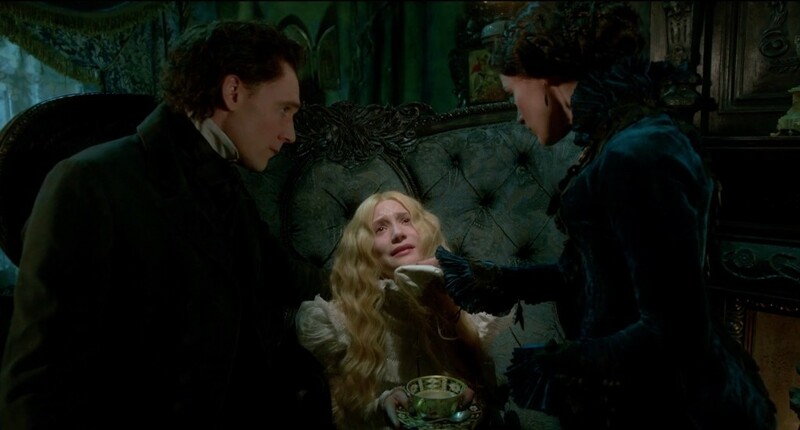 The story of Crimson Peak though…. Zzzzzz. I was bored! 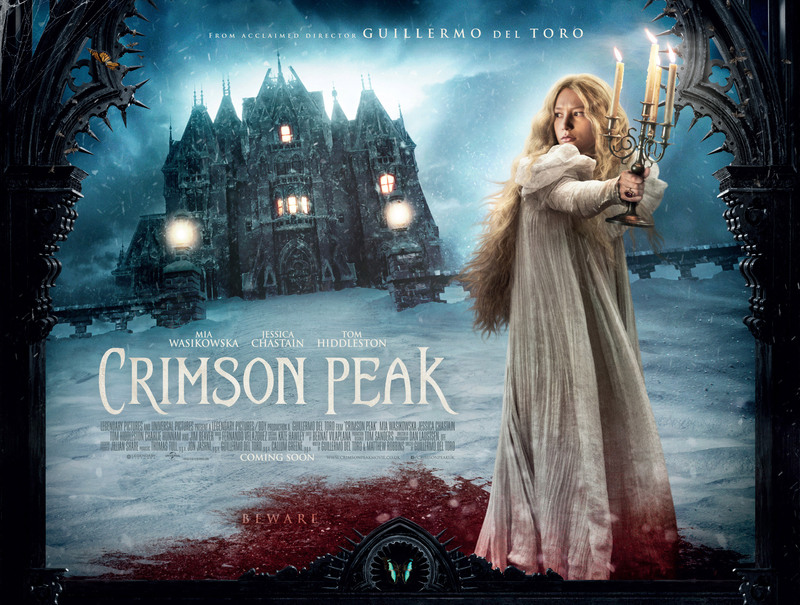 Maybe I’ve seen way too many ghost themed movies which may have made me a jaded person but Crimson Peak did not add anything new or unique. The unfolding of the story felt predictable early on which made the rest of the movie drag for me. Crimson peak is a case of style over substance. It offers a beautiful backdrop to a mediocre story.